There is so much misinformation in internet about Timo Tolkki, that here you find the information that is accurate and answers to some questions. Remember that if you read information about Timo Tolkki’s person, shows, endorsements etc, if they are not confirmed in this official homepage, the information is probably false and should not be trusted. Is Timo Tolkki married, does he have children or siblings? Although Timo communicates directly with his fans through social media, he wants to keep his private life private and therefore does not like to talk about it. He would appreciate if you would respect this. Does Timo Tolkki give guitar lessons? In fact, sometimes he does. Get in touch with him and ask is the best way to find out. 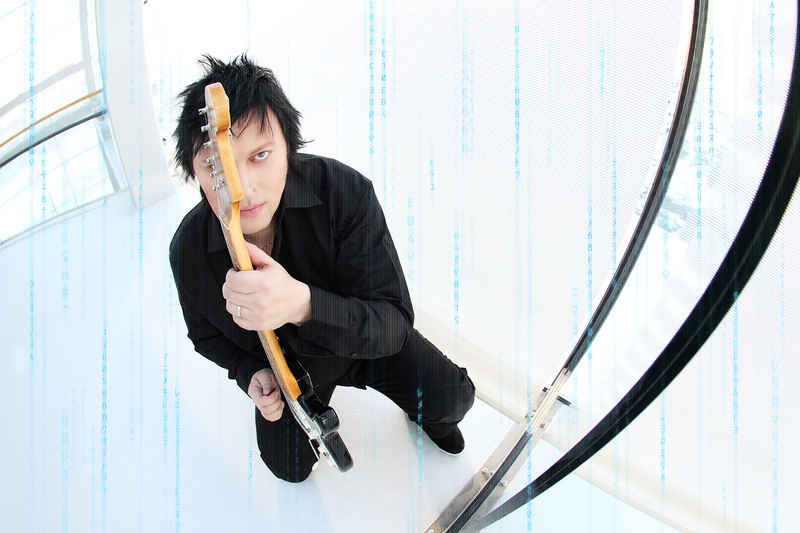 I want Timo Tolkki to produce my record or mix it. Is it very expensive? Timo is very selective, but you should get in touch with him or the staff of Studiotolkki. It is entirely possible. He likes to produce and mix bands and music. Is Timo Tolkki mentally ill? During the Stratovarius turmoil in 2004, Timo was hospitalized due to a nervous breakdown and he was diagnosed suffering from Bipolar Disorder type II (http://en.wikipedia.org/wiki/Bipolar_disorder). It is an incurable illness that is treated with medication that enables a person to live a normal life. If this illness is untreated, it can cause a person to act in very strange ways. There are also court decisions, where a person with this illness has been declared not being legally competent due to a manic episode. Today Timo feels fine and lives a normal life filled with music and arts. He was in many ways lucky, since this illness is usually diagnosed 10-15 years too late and has a high suicide risk. As Timo’s father commited suicide when he was 12 years old, in his case the risk has been even higher. We encourage those people who are spreading stories about Timo’s craziness to find out information about this illness. Bipolar Disorder does not change person’s humor for example. Timo is known to have a very sarcastic and dark sense of humor and that has nothing to do with his illness. Why Timo Tolkki left Stratovarius? There is no one answer to this question. The band had been highly successful and working very hard for many years. Bands have their life expectancy and rock bands are not exactly known to be the most stable units. In 2007 after having composed the music for what was to be the next Stratovarius album “New Era”, he found himself extremely dissatisfied to the situation in the band. The chemistry in the band was not good and it was not fun anymore. Also one very big reason was that after 2003, a lot of things of the band were moved to a German management and that in 2007 Timo was in a situation where he did not feel he was properly been informed about the legal things that were ongoing behind the scenes. He also felt that certain individuals in the band did not want to play with him anymore. Furthermore when the self titled “Stratovarius” album came out, the management organized things in a way that Timo could not do any interviews for the album although he was told otherwise. Instead the press was done entirely by Jens Johansson and Timo Kotipelto. This made Timo to understand that it would not be possible to continue things the same way anymore. The decision to leave did not come overnight. The band tried to record the new songs in March 2007 but the sessions were unsuccessful and were put to rest for the time being. During the summer of 2007 Timo made his decision and played his last show in Stratovarius in Madrid Spain in August 2007. He did not inform the band until 2 months later. The remaining members called Tolkki in a public statement “a greedy narcistic Faust” and much of public dirt was thrown. Tolkki, who was the sole owner of the name “Stratovarius” and who had all the musicians under contract to him, gave away all the rights to the name of the band and to the entire back catalogue of the band as a protest to the decision of the remaining members decision to continue the band without him. This also included the albums prior to the lineup of that time (the early Stratovarius albums). To this very day Tolkki and the core members of Stratovarius disagree about the situation solely blaming Tolkki for leaving them in trouble. Timo disagrees about this. Today the relationship is cordial. Timo holds no grudge to anyone. In fact, he has made it public, that since he believes large portion of Stratovarius fans are from the Visions era, he wouldn’t say no to one new album and a world tour with this line up. Jari Kainulainen has also shown interest to this. Who was Miss K and was she ever in Stratovarius in 2004? She was a part of an orchestrated publicity stunt largely masterminded by Tolkki but involving the entire band, especially Jens Johansson and Antje Lange (current Stratovarius manager), the boss of Sanctuary Berlin (the band’s record company at that time). There is no question about it that Timo’s illness played a big role in the stunt that was done to get more publicity to the band. But there is also no question about that Timo has been the only one who has publicly taken responsibility about the issue and apologized the fans of the band. He feels that it is extremely unfair, that he has been the only one who has carried the blame from the happenings while there were other people heavily involved in the stunt as well. He loves photography and it is common for him to get up very early to shoot sunrises. His photographic equipment is: Nikon D800 with 12-24 F2.8 and 24-70 F2.8 lenses, since people ask a lot about those. Timo lives near Helsinki in Finland. What are Timo’s future plans? He plans to make more music and become happier in generally. To take more photos and to create something special. As you can see from this homepage and social media, he is very active in pretty much all areas of life and he is also quite accessible to his fans.